Renovation of a beloved soccer stadium in Tel Aviv that dated from the early ’60s. 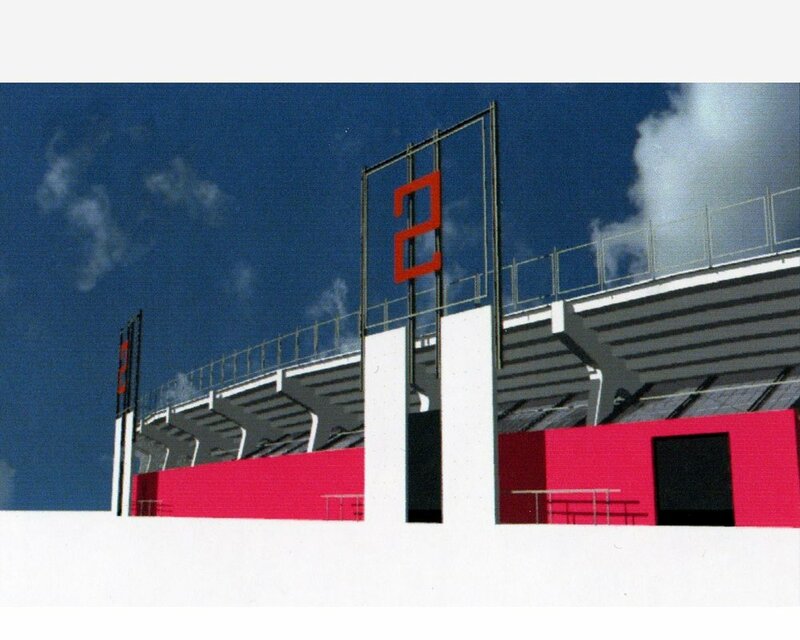 The low-budget program called for upgrading the existing stadium gates, to provide emergency exits that complied with newer building codes, and adding kiosks and bathrooms by each gate. 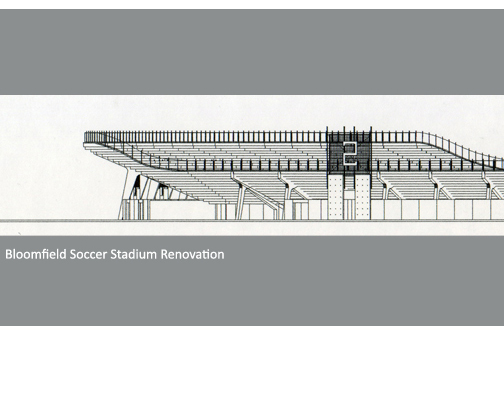 The design approach was to maintain the stadium’s original character while giving it a sense of contemporary renewal. This was accomplished by weaving in the new architectural elements so that they stand out yet remain respectful to the existing structure.